Reach out and crush someone! 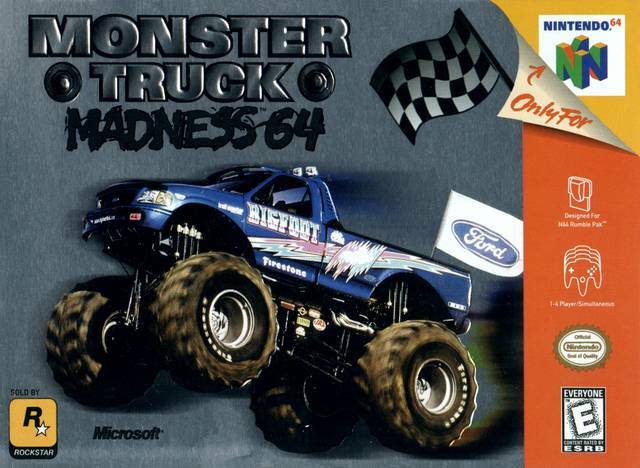 The world's favorite monster truck game with high-octane off-road racing and bone-crushing battle modes! Mega multi-player mania. 19 trucks to control, including BIGFOOT, Grave Digger, and the WCW / nWo WrestleTrucks! Five battle games and two racing modes for 1 to 4 players. Ten treacherous tracks to tame. Play king of the hill in the Summit Rumble. Extreme off-road racing allows you to find your own shortcuts! Plenty of power-ups to give you an edge over the competition!